David Farrell was brought into the world in the historic East Coast town of Plymouth, Massachusetts, but was transplanted at the age of five to the historic West Coast town of Mission Viejo, California. His introduction to musical performance was largely provided by his mother, who taught him how to play the guitar. 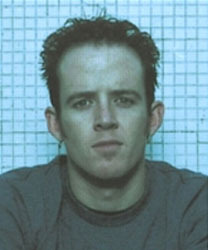 In his teens he became active with the local music scene, joining the Christian punk band Tasty Snax during his high school years; the band's name was later shortened to simply The Snax, and Farrell accordingly shortened his string count from six to four (although later sometimes making a halfway return up to five). After graduating from high school he enrolled at UCLA, where he ended up as the roommate of Brad Delson, a guitarist still active with his own high school band Xero. Delson eventually coaxed Farrell (now calling himself "Phoenix") into Xero's ranks as bass guitarist, and together they skipped merrily through the wonderland of the L.A. club circuit. In the late 90s Farrell was presented the opportunity to tour with The Snax, and finding the offer too compelling to pass up, he turned in his notice with Xero and spent the next year and a half traveling with his old bandmates. In his absence Xero changed their name first to Hybrid Theory and then Linkin Park, sold themselves to Warner Brothers, recorded and released their multi-platinum debut Hybrid Theory (featuring some of Farrell's compositional input, but with bass duties being shared between Delson and Scott Koziol), and established themselves as one of the industry's leading corporate rock bands. This change in circumstances must have made it a matter of small effort for the band to coax Farrell back into their ranks, which was accomplished soon afterwards. His recording debut with Linkin Park was finally made in 2002 on the Reanimation remix album, to which he added performances on both vioin and cello. His status as a fulltime contributor to the band's recorded output was cemented with the release of Meteora in 2003.